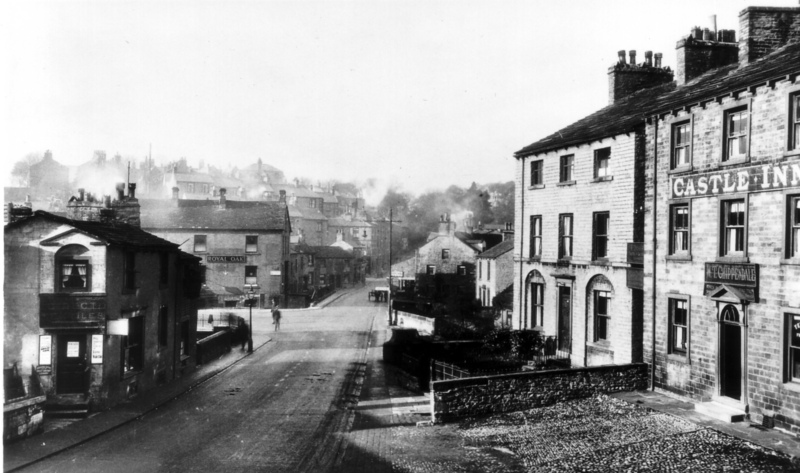 the gap between the Castle pub lead to some older buildings where we used to hold band practice for skipton brass band...does anyone out there remember this ??? On the left is a doorway at an angle. In the mid 50s the hottest place in town was there where they had an Espresso Coffee Bar and A JUKE BOX. Didn't make any girl friends there - probably just a bit too young! Aah.